With Samsung announcing the Gear VR, folks already want to know which games will be playable on the headset device. 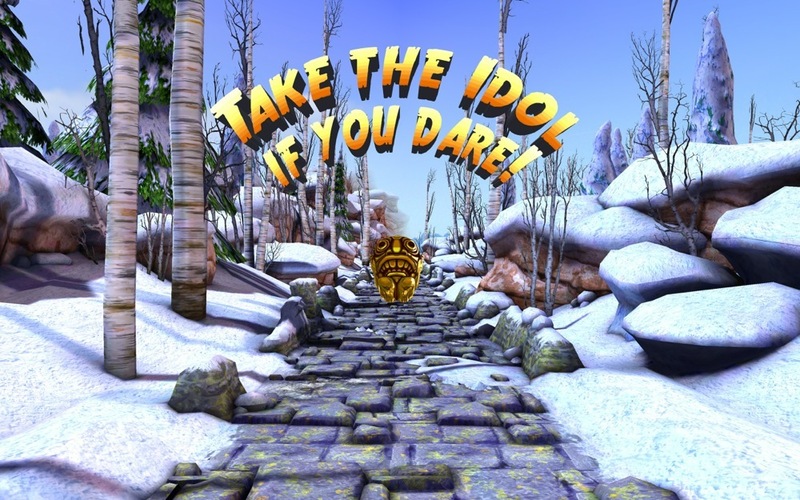 Today, it was announced that a special edition of Temple Run, titled Temple Run VR, will be available at Gear VR’s launch, allowing folks to get their fix of the endless runner title in a very new way. When played, the game will feel much more like a first-person game, rather than an third person type of runner. Our guess is that when you tilt your head, you can change the direction of your runner, as well as look around the world that Imagni has created. Keith Shepherd, co-founder of Imangi Studios, spoke on the partnership and had the following to say. We are incredibly excited to be a part of this revolution in gaming, and we jumped at the opportunity to work with Samsung and Oculus to make Temple Run VR. Virtual reality opens up a whole new world of possibilities for us to create amazing experiences. We’ve truly been able to transport players to another world and let them viscerally feel the thrill of the chase. With no date set for Gear VR’s release, we can’t report exactly when the game will launch, but it will be sometime this year.